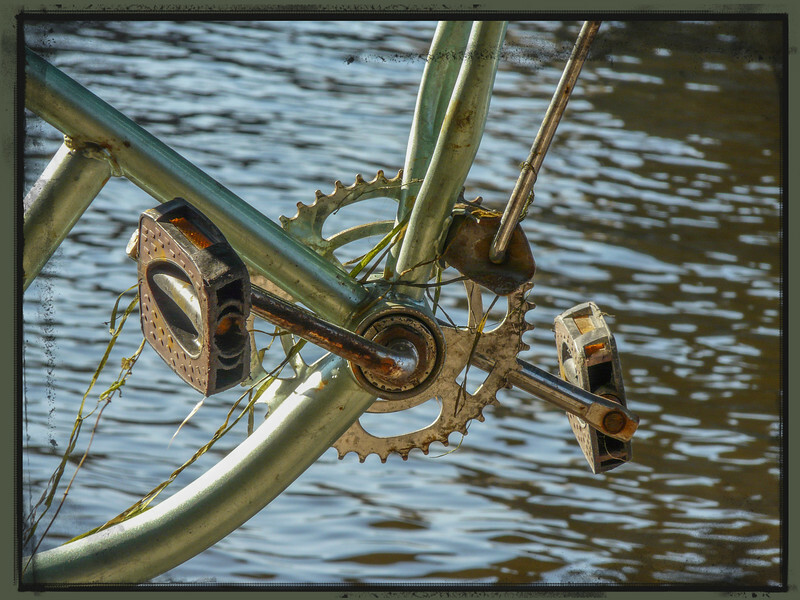 Chainwheel, crank, pedals and frame. Even a kickstand. But, you can be sure that this relic under the bridge won't win any races.